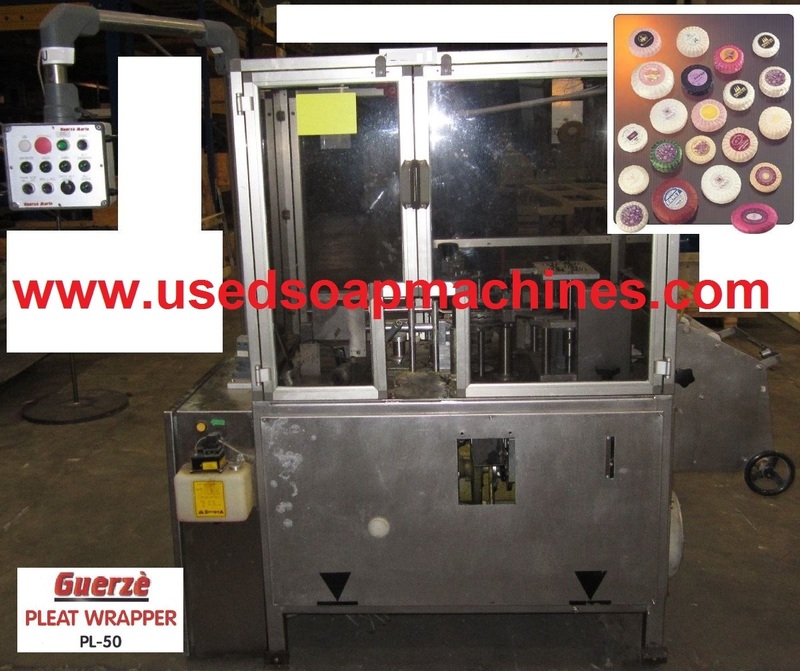 SOAP PLEAT WRAPPING MACHINE "GUERZE PL-50"
The GUERZE PL-50 Pleat Wrapper is designed to wrap with tissue paper, plastic or cellophane up to 50 round and oval soap bars per minute. The roll fed pleat wrapping material is cut into octagonal shape and placed under the tablet. Excess wrapping material is discharged into a container with a vacuum system. The soap bars and the wrapping material are lowered together into a pleating head assembly, which forms 24 pleats around the tablet. For plastic type materials a special pleating head is required. The folded pleats are kept in position by a mechanical controlled iris. 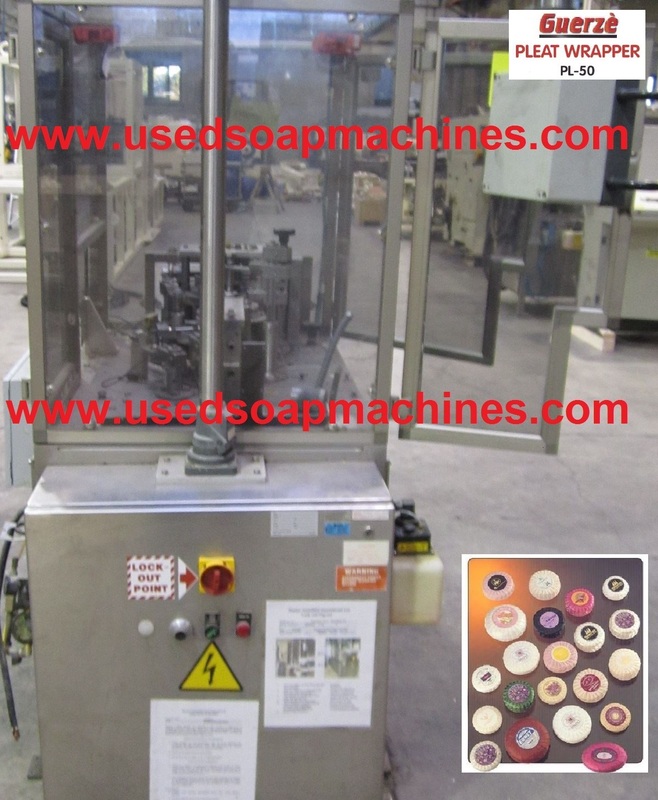 The pleating head, with the pleat wrapped soap inside, moves to the labeling station, where an automatic labeling group applies roll fed self-adhesive labels on the pleated soaps. 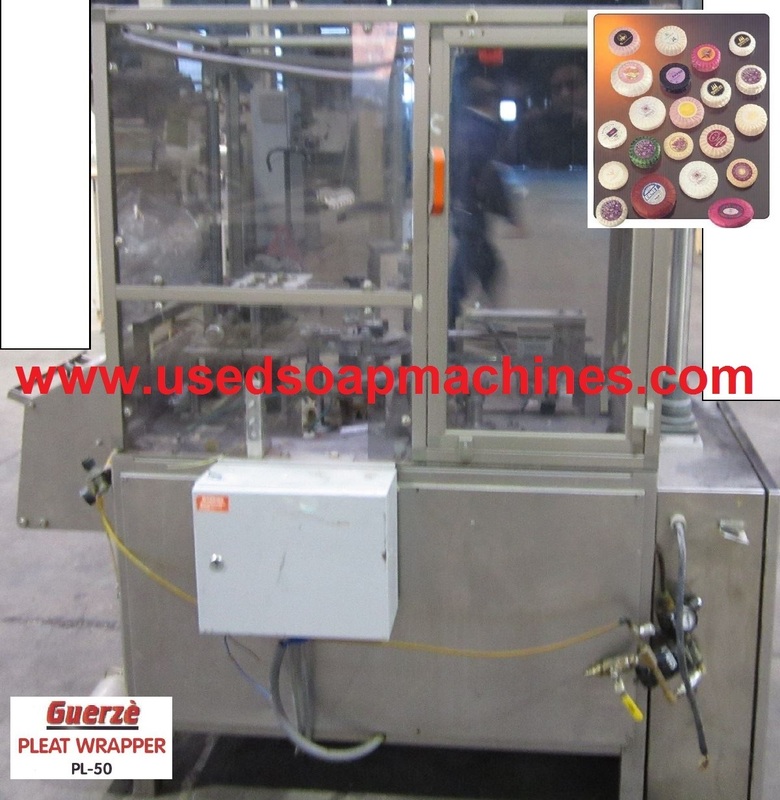 The pleat wrapped and labeled soap is discharged onto an independently driven conveyor. All contact parts with the tablet and side panels are made of stainless steel. 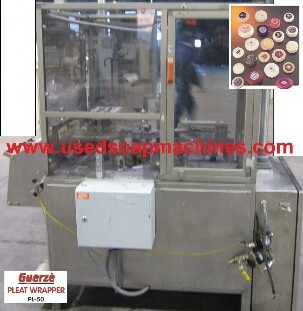 All contact parts with the soap and side panels are made of silicon rubber or stainless steel. Plexiglas top and side covers with magnetic safety interlocks.